Lately the trend has shifted to wines with a sense of terroir, a sense of the specific site where the grapes were grown. This encompasses not just the soil but all factors affecting the particular vineyard, yet the soil tends to be the most tangible influence. A fashion for earthy-flavored wines has gone hand in hand with the increasing interest in terroir-focused wines, with more and more wineries seeking to emulate the Burgundian style: earthy reds specifically reflective of their vineyards. Overtly fruity Australian Sparkling Shiraz is nothing like that. In fact, it’s so unfashionable (except perhaps in Australia itself) that I could barely find a passing mention of it in The Oxford Companion to Wine, The World Atlas of Wine or The Sotheby’s Wine Encyclopedia. The most I found was in Sotheby’s, which described Seppelt’s Show Sparkling Shiraz as “the biggest, brashest and most brilliant” of Sparkling Shirazes, “even though its massive, concentrated black-currant-syrup fruit is too much for many to swallow more than half a glass.” Burgundian style that is not. You won’t find any sommeliers in Brooklyn clamoring to pour you a flute, not even ironically. 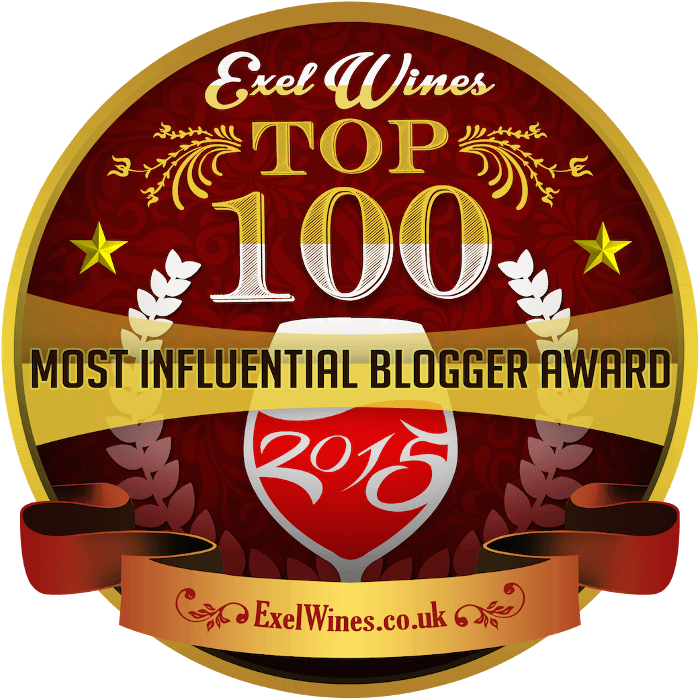 But just because a wine is deeply unfashionable doesn’t mean it’s unworthy of consideration. I may have my wine blogger license revoked for what I’m about to write, but I quite like a glass of Sparkling Shiraz from time to time. In fact, I was feeling particularly unstylish just yesterday evening, and I opened up a bottle to serve as an apéritif before a dinner party. I love how incongruous the purplish wine looks in a champagne flute. The 2012 Paringa Sparkling Shiraz I served is much lighter than the Seppelt described above, which is aged for 10 years before it’s released. With 36 grams of residual (unfermented) sugar per liter, the Paringa tastes sweet but not syrupy. I quite liked its aroma of dark grape jelly and its ripe, openly grapey fruit. Some lemony acids kept things in balance, aided in that effort by tight, frothy bubbles and some light tannins on the finish. It’s fun and surprising, both in terms of color and flavor, which makes it an ideal party wine. 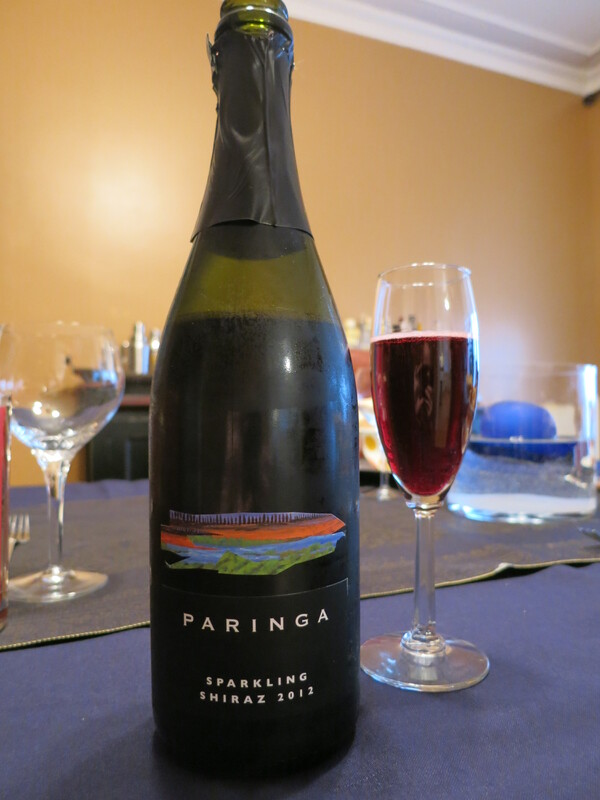 I could find nothing about Paringa’s South Australian Sparkling Shiraz on its website other than an image of the bottle. Fortunately the importer, Quintessential Wines, is a bit more forthcoming: “The grapes come from 14 year-old vines grown in a sub-surface limestone layer beneath a sandy loam topsoil. The 2012 vintage was an outstanding year… The wine is matured in French oak for a short period of time prior to bottling.” The tannins on the end were at least partially the result of this brief stint in oak. Neither the bottle nor the website mention whether the wine is bottle fermented in the manner of Champagne, which leads me to believe it’s tank fermented instead. Certainly the reasonable price of $14 or $15 a bottle points to tank fermentation. Nevertheless, the bubbles aren’t too large or aggressive, as is sometimes the case with tank-fermented sparklers. 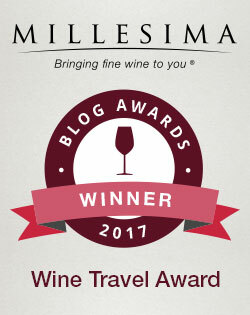 I wouldn’t necessarily recommend serving Sparkling Shiraz to any wine snob friends — they might raise an eyebrow, or worse, surreptitiously research the wine on their smart phone and discover that Paringa is “Great with your favorite chocolate dessert or with bacon and eggs in the morning,” according to Quintessential Wines. Those pairings don’t exactly inspire confidence. An austere Crémant d’Alsace might be a better choice, assuming you don’t want to splash out on a Grower Champagne, currently the most fashionable of bubblies. If, on the other hand, your friends don’t give a brix about wine fashion and just like to have a good time, a Sparkling Shiraz would be a fun and memorable way to kick off your next party. I acquired four bottles of Paringa sparkling Shiraz.I have not tasted it yet.Should I serve it chilled like Champagne. Excellent question! I do indeed recommend serving sparkling Shiraz chilled. I hope your guests enjoy it — I think sparkling Shiraz is great fun.